Renee Zellweger is a nurse, called Betty. Except she's not, she's actually a waitress who thinks she's a nurse and engaged to the star of hospital soap A Reason to Love. Unfortunately for Betty the real star of the soap doesn't think he's engaged to her and instead thinks she's auditioning for his soap. Throw in a couple of hitmen and a drug deal gone wrong and you've got the basic premise of Nurse Betty. 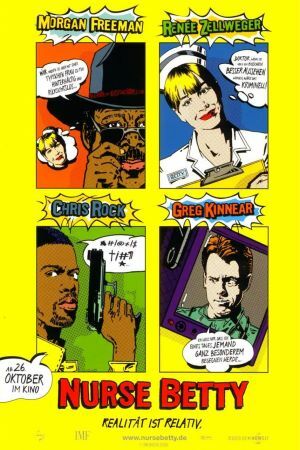 Director Neil LaBute hasn't been known for good taste in his films but Nurse Betty is a true departure for him, showing characters that can be liked, vaguely. 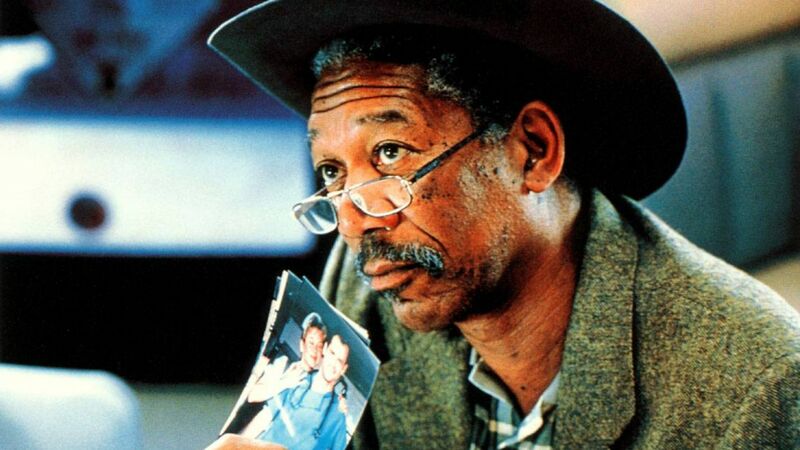 The acting from the cast that also includes Greg Kinnear, Aaron (Erin Brockovich) Eckhart and a god of screen acting, Morgan Freeman, is superb, showing people who are slightly strange but still appealing in one way or another. It may be slightly off-beat but that's all the more reason to come and see it and if it isn't then how can you resist a film that calls one of its characters "a garbage man of the human condition" or punishes another for having a mullet. It's quirky, interesting and well worth a look.